Art Vacation home Ines presents a spacious back yard with trees and a 72 m² outdoor pool. Rooms are embellished with an array of art works and have garden or sea views. It is 400 metres from a pebbly beach and harbour, as well as a spa and wellness centre. A morning meal buffet is served in the breakfast lounge. It includes an outdoors terrace, 2 gazebos and grill, as well as a TV lounge. A grocery shop, a dining establishment and a coffee bar bar can all be reached with a short walk. 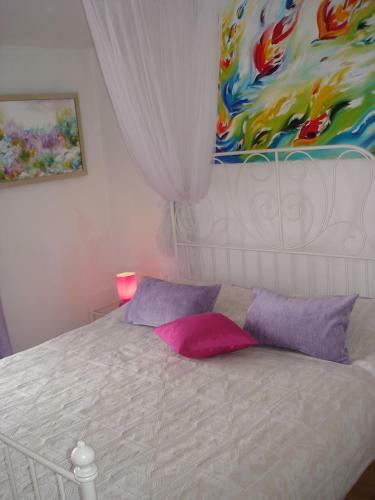 Apartman Eduard Šimićev ~0,1 km, Zadar price per day from € 60 Apartman Eduard Šimićev is a self-catering accommodation situated in Zadar, providing free internet access, free car parking, a back yard and grill amenities. 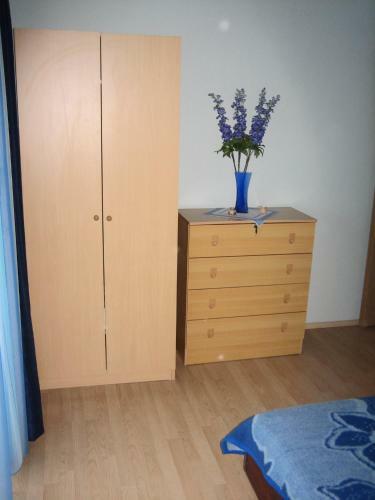 The accommodation will provide you with a TV, air conditioning and a balcony. There is a well-equipped kitchen with an oven and a fridge. The private restrooms also come with a bath and a bath or shower. If you feel like exploring the countryside, check out Church of Our Lady of Health (1. Apartment Jelena ~0,1 km, Zadar price per day from € 45 Featuring gratis wireless internet, Apartment Jelena is set in Zadar. Anastasia Basilica and Bell Tower and Five Wells Plaza are 3 kilometers away. Each air-cooled apartment includes a patio and seating area. The kitchen is fitted with a stove and coffee machine. Kozino ( ~ 4.7 km ): 163+ apartments, 9+ villas, 2+ hotels. Poljana ( ~ 5.3 km ): 27+ apartments. Beach Uskok, Zadar ~ 0,7 km from Art Villa Ines Gravel beach: ideal for families, recommended for young people, with restaurant, with caffe bar, equipped with showers. Excellent choice of watersports. Beach Borik, Zadar ~ 0,8 km from Art Villa Ines Sandy beach: ideal for families, recommended for young people, with restaurant, with caffe bar, equipped with showers. Excellent choice of watersports. Beach Puntamika, Zadar ~ 1,2 km from Art Villa Ines Rocky beach: ideal for families, recommended for young people, with restaurant, with caffe bar. Excellent choice of watersports. 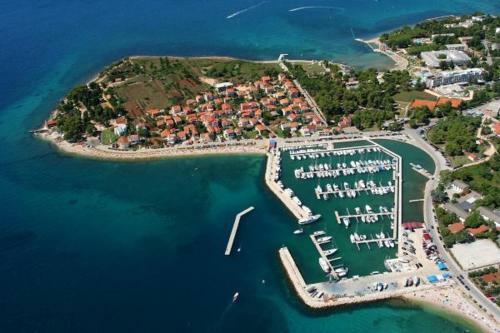 Beach Diklo, Zadar ~ 2,4 km from Art Villa Ines Concrete beach: ideal for families, with restaurant, with caffe bar. Beach Kolovare, Zadar ~ 3,3 km from Art Villa Ines Gravel beach: ideal for families, recommended for young people, awarded with blue flag, with restaurant, with caffe bar, equipped with showers. Excellent choice of watersports. Restaurant Pizzeria Gusti, Zadar ~ 3 km from Art Villa Ines Address: Zrinsko Frankopanska 20, 23000, Zadar. Cuisine: Pizza & Pasta. Restaurant Back Door, Zadar ~ 2,7 km from Art Villa Ines Address: Polacisce 9, 23000, Zadar. Cuisine: Bar. Restaurant Fosa, Zadar Guest reviews: 7,6/10 ~ 2,4 km from Art Villa Ines Address: Dmitra Zvonimira 2, Zadar. Restaurant Konoba Dalmatina, Zadar Guest reviews: 9/10 ~ 2,2 km from Art Villa Ines Address: Kovacka 10, Zadar. Cuisine: Eclectic. Restaurant Zadar, Zadar ~ 2,1 km from Art Villa Ines Address: Obala Kralia Petra Kresimira 4, Zadar. Cuisine: Yugoslavian.